How easy is to order low carb at restaurants? 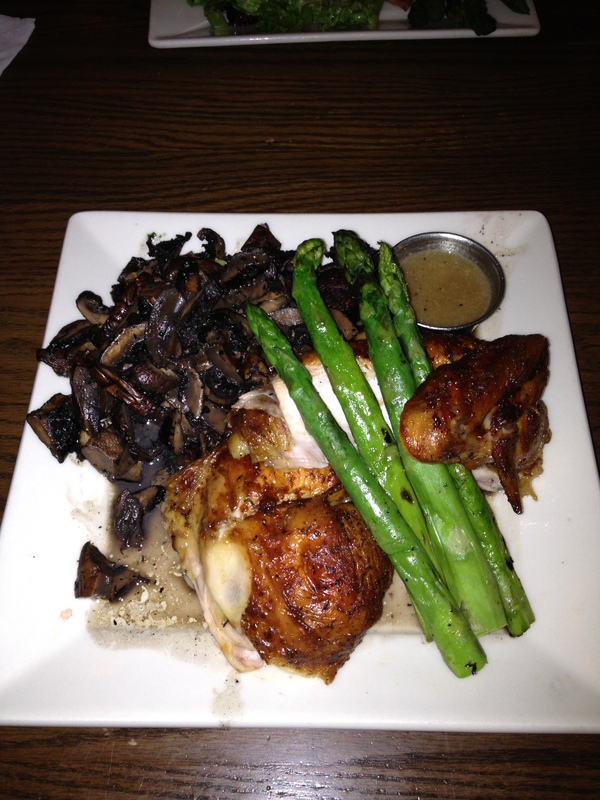 I was pleasantly surprised recently at Chesters Kitchen & Bar in Rochester, MN. Other than a quizzical look when we said “No thanks” to the bread basket, it was pretty smooth. 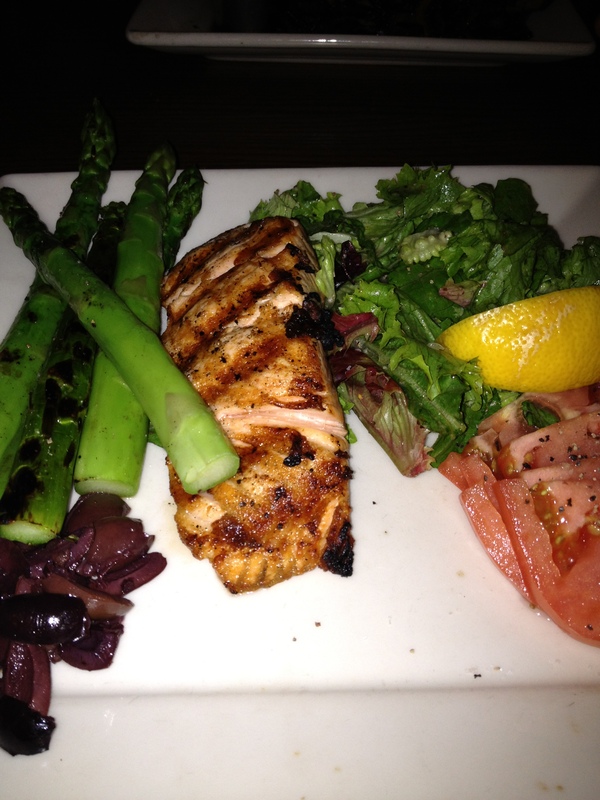 I had a great meal of Grilled Salmon & Asparagus served with a lightly dressed salad and tomatoes. There were olives on the plate (see below asparagus) not sure what those were doing there, kind of random. My husband had the specialty of the house-Rotisserie Chicken and in place of the mashed potatoes they offered sautéed mushrooms which were delicious but unappetizing in appearance. Pet Peeve~why do wait staff refer to diners as “Guys”? We kept being asked, “You guys ready to order?, You guys like your food? You guys finished?” I am not a guy, my husband is, and I guess he could be considered “one of the guys” in certain settings. But at dinner as a couple, I don’t want to be one of the guys!